Humans have evolved a large brain to help in our survival. It does a very good job but sometimes it get tricked up in seemingly simple differences. One of these is the difference between the words rent and own. You own a non-franchised business. Understand? You own no thing/nothing when you rent a logo. Don’t look for equity: It does not exist in franchising. A franchisee is the end consumer or licensee. Franchise law defines what a franchisor is very widely and a franchisee very narrowly for a very good reason: franchisors will try to wiggle out of their responsibilities by pointing to someone else in the selling chain when it hits the fan. They are as bi-polar as U.S. bankers: laissez-faire in good times, socialists in bad. Auckland, Feb 2 NZPA – An Auckland man charged with fraudulently obtaining $3.5 million from people he granted Green Acres sub-franchises to, has re-appeared in court. Keith Lapham faced three fraud charges alleging he obtained money by deception from 172 people while he was a master franchisee for Green Acres from March to December 2007. Lapham was remanded on bail to a pre-depositions hearing in April when he appeared in Auckland District Court today. His lawyer Peter Davey said an extra two months was needed to examine more than 30,000 documents disclosed by the Serious Fraud Office. Lapham was an independent contractor and the Green Acres company was not the subject of any investigation. New Zealand is a Tier 2 economy in refusing to pass a specific-franchise law. This government inaction is called enabling consumer fraud. Is it any wonder that Mark Bryers, a lawyer, structured the Blue Chip fraud as a franchise? With lots of people like Mark Bryers, being attracted to franchising, what’s the probability that it’ll happen again? 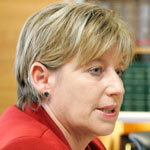 Is it reasonable for Kiwis to expect more backbone from their government than having Minister Dalziel making her announcements on franchise regulation from the franchisor-only trade shows? In contrast to almost all of the G20 countries that have a franchise law, it must seem that it’s like shooting fish in a barrel in running a franchise scheme in New Zealand. 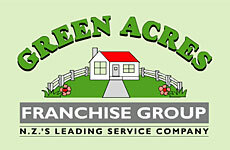 About 100 franchisees are seeking financial assistance to help them bring Green Acres to court – which is estimated to cost about $140,000 – after Commerce Minister Lianne Dalziel said at a meeting on Sunday that it had “declined all the demands for compensation” and claimed Keith Lapham was an independent business owner, and not one of its employees. There was no immediate indication that aid would be forthcoming although the Minister meeting with the former franchisees is a good sign. Ms Dalziel said the Serious Fraud Office, which is investigating the case, would be completing its investigations soon, and a decision on whether to press charges was about two weeks away. Lawyers for the defrauded franchisees issued a letter of demand to Green Acres asking for the return of the money paid to Mr Lapham, and for loans for the purchases of the bogus businesses made through the company’s financing arm, FBL Finance, to be nullified. Mr. Tyrone Pilacan, an immigrant from the Philippines, is quoted as saying he had recently lost his job and was struggling to meet the $800 monthly repayment to the bank. The latest New Zealand Herald article on Blue Chip by Maria Slade [Immigrant banker put $1.7m in Blue Chip] is interesting for at least three reasons. dozens of barely literate Indian and Chinese arrivals with Green Acres and Green Power franchises. A British investment banker who came to New Zealand for a better lifestyle invested $1.7 million in 19 apartments through Blue Chip. Now Neil and Michelle Hickman are pinning their hopes on court action to recover some of their losses. Mr Hickman gave up his career as a successful investment banker and moved his family to New Zealand two years ago, intending to live off his wealth. Two, immigrants are considered prime protein by some franchise systems. New arrivals who invest large sums are often given special treatment [some expected; some not]. Several franchisors aggressively market their systems overseas to potential new immigrants using their government’s investor programs as a proven successful fraud technique: a badge of authority. “Talk about a bad year,” Mr Hickman said. Green Acres fraud triggers Kiwi franchise review? This is an interesting article by Nevil Gibson in The National Business Review: Franchisers face prospect of regulation. The Green Acres franchising scam, in which dozens of new migrants from China and India were bilked of millions of dollars, has sparked a government clampdown on the sector. “I was actively involved in meeting with franchisees at the beginning of the year who had been caught up in what is an alleged fraud and still subject to investigation by the relevant authorities including the Franchise Association of New Zealand (FANZ). In May, the NBR reported the Green Acres Group – the country’s largest franchiser – had recovered from the $4 million fraud, which involved an individual selling a home ironing franchise to several hundred investors for more than $20,000 each. reputation damage that interferes with the franchise industry’s ability to sell, sell, sell. Curious how the wrong that seems to get the most attention is the negative publicity drag on the head office as opposed to the $4-million cash lost to the recent immigrants. Time will tell if this proposed regulation turns out to another McLaw: the illusion of franchise investor protection. A cynical interpretation makes this spin designed to get past the next election. One great suggestion is a requirement for every franchise system to join the FANZ and be held accountable to its Franchising Code of Practice [download pdf]. These standards would apply to all members of the FANZ community [lawyers, accountants, consultants, salespeople] and not just to the franchisors. Right? It would be a shame to have salespeople or consultants not being responsible for their advice let alone the professionals [franchise lawyers and accountants] who have an existing statutory duty of care to provide prudent advice. It would seem a shame to maintain the fraud incubator where a Blue Chip v2.0 can flourish [ie. defrocked professional uses franchising as a mask and liability shield that causes thousands of the most vulnerable to lose their homes]. could have been reasonably been expected to know. The Ministry of Economic Development is conducting a review of franchising regulation to explore whether there are any widespread problems in the franchising sector which may require franchise specific regulation. There have certainly been enough high profile franchise nightmares and spectacular fraud investigations to justify this action: Blue Chip, Green Acres, Green Power. And, usually, only the most severe ever surface into the national media [tip of the iceberg]. Further coverage was provided by the Franchise New Zealand trade magazine in an article named: Government Wants Feedback on Franchise Regulation. Can I conclude by congratulating all of you for participating in this Expo and can I thank the Franchise Association for its advocacy for a sector that is a vital part of the New Zealand economy. Can I acknowledge the sponsorship of Westpac – these events don’t happen without sponsors – and can I congratulate those of you who have been chosen as the ‘show stoppers’ for going the extra mile. It is important, at certain times, to remind those in authority that they serve citizens’ interests as well as corporate interests. I would encourage franchise investors and those affected by no franchise industry oversight [such as Blue Chip] to voice their opinions to their elected officials, current government, media outlets and financial institutions. The franchise industry is well-known for its hyperbole bordering on propaganda. For the latest example of these half-truths and silent misrepresentations see a recent modestly named article: Franchising to the Rescue. In my opinion, this is an unnecessarily biased and dangerous article for small business investors. It’s assumption is that franchising is a safer investment than independent business. That claim has been exploded for at least 10 years and totally ignores the recent New Zealand experience with Blue Chip and Green Acres. All the credible academic research comes to the opposite conclusion: Franchising is much riskier than independent business. Research: There is an big quality difference between true academic work [published in refereed journals, funded by public money] versus private research [biased, paid for by interest groups]. It is not enough to say that there are no reliable statistics and then go ahead and spout off unsubstantiated figures. Everyone knows the public remembers the numbers while forgetting the qualifications. Publishing these self-serving guesses [with zero opposing opinions] is bordering on reckless media behaviour. Mom-and-Pop investors are risking their life savings and homes, after all. Timothy Bates: In 1996, this university professor published an academic study that rocked the franchise industry. Bates was contracted by the Office of Advocacy of the U.S. Small Business Adminstration to look at survival patterns of franchised and non-franchised businesses. only 49 percent of the franchises started by women in 1987 were in existence in 1991, compared with 67 percent of the independent firms started by women. …the franchisee route to self-employment is associated with higher business closure rates and lower profits for the young, largely noncorporate firms, relative to independent business ownership. p. 8. U.S. Government: On June 24, 1999 Dr. Bates appeared before the U.S. House of Representatives’s Subcommittee on Commercial and Administrative Law. The Oversight Hearings on the Franchising Relationship were called to review the state-of-the-union in American franchising. Click here for a .pdf copy of his testimony. 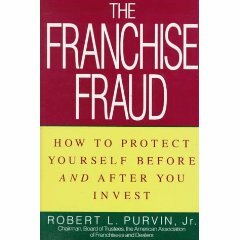 And that Bob Purvin’s book The Franchise Fraud is built around detonating the lie that franchising is a safer route to business rental. …sign a “rescue package” or warned that the company would commence proceedings to get back the $25,000 its financial arm, FBL Finance, had paid on his behalf to former area manager Keith Lapham. …Finance Now Ltd, also issued a final notice to about 30 Green Acres franchisees as it too sought repayments for about $150,000. In franchising, it is not uncommon for banks and franchisors to work very closely; Even including unauthorized withdraws from business accounts. He has written to Green Acres asking for the amount to be refunded, but said he had not had a response. Meanwhile, since Dec 2008, the police have been doing exactly what about the missing cash? Yesterday, Serious Fraud Office chief executive Grant Liddell told the Herald that investigations into the Green Acres case were ongoing and that a decision had yet to be reached of whether any charges would be laid [my emphasis].